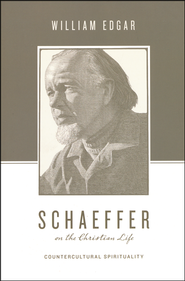 S chaeffer on the Christian Life: Countercultural Spirituality William Edgar (Crossway) $17.99 There are other biographies of Francis Schaeffer and of course he and the late Edith Schaeffer have between them nearly 50 books of their own. With Edith’s passing last week, many have written on-line tributes. (At the Hearts & Minds bookstore’s facebook page I even told a brief, fun story of how Edith held and comforted our daughter Stephanie — and us — when Steph was an infant.) 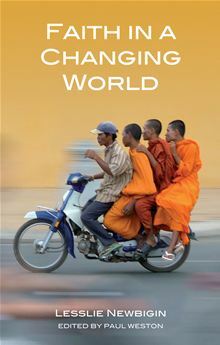 Now is an excellent time to reconsider the impact of the Schaeffers and this new book is the place to begin. I think this is my favorite book about Schaeffer, written by a man I trust immensely; Bill Edgar is a respected and beloved professor at Westminster Theological Seminary, theologically balanced, thoughtful, gracious, and particularly insightful (especially about culture, the arts, and how best to witness to the goodness of God’s ways within the contemporary zeitgeist) not to mention a great jazz pianist. That he is a Harvard graduate who was converted from agnosticism during his own time at Schaeffer’s Swiss L’Abri gives this survey a real integrity – Edgar knew Schaeffer, was influenced by Schaeffer and has studied with others in his orbit (from art historian Hans Rookmaaker to philosopher Herman Dooyeweerd.) He knows first-hand what he’s talking about. Two wonderful chapters – the first and the last – offer more of Mr. Edgar’s own story and while these chapters are still clearly about Schaeffer and L’Abri, it is always wonderful to hear a thoughtful person share their own testimony of conversion and how they grew into deeper faith and discipleship. These two chapters are full of impressions and neat recollections and are enlightening for us all and especially instructional for those who do ministry and mentor others — how this whole process of impacting others can work is lovely to behold. These two chapters and their more personal recollections provide a lived, first-hand example of the very serious stuff with which this book profoundly grapples. It is affectionate and personal, emerging from a writer with an obviously deep interior life, about a writer with a deep, trusting faith, even as it ruminates on some of the most important issues of our postmodern times. 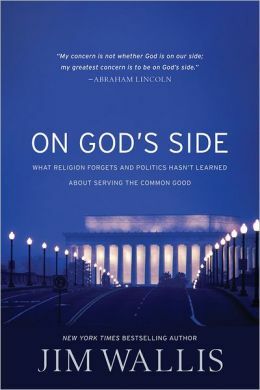 O n God’s Side: What Religion Forgets and Politics Hasn’t Learned About Serving the Common Good Jim Wallis (Brazos Press) $21.99 I think Jim may have been the first nationally-known author we had in our little shop maybe 25 years ago. I am proud to say I read Sojourners magazine in college when it was still called Post-American — a housemate even had a Post-American cover with a picture of Thomas Merton taped to our bedroom wall. And I have read all of Jim’s writings; The Call to Conversion remains one of my all-time favorite books. He may not be my favorite public theologian, necessarily; I am not the only Sojo fan who finds some of their important work less than fully adequate at times. Still, as I insist even to those who don’t like his left-leaning tendencies, Wallis is a good writer, makes tons of sense, and is more balanced and careful than many who mostly traffic in slogans and clichés on the far left or right. So, I really, really think we should read and engage his contributions to our on-going efforts to discern a Biblically-faithful public witness in our post-Christian, pluralistic and woefully polarized culture. We have promoted each of his books over the years, and are especially excited about this one. This is not the first time Wallis has introduced the phrase “the common good” but it is, perhaps surprisingly, the first time he has made it the central organizing theme of a whole book, and it makes it certainly one of his very best. One of the burdens of this book – and, again, this is not new to Wallis – is to encourage “common ground for the common good.” He encourages dialogue and healthy debate, multi-faith conversations and mutual efforts (informal and programmatic) to overcome the ideological divides that are tearing our social fabric. He has modeled this in his own life (and, in fact, has done his share of dialogues and debates with right-leaning people of Christian faith and with those of other faiths.) That there is an endorsement by former Republican speechwriter Michael Gerson is a nice indication of this very thing. Gerson writes, “Jim Wallis and I have a variety of differences on domestic and international policy, but there is no message more timely or urgent than his call to actively consider the common good.” To his credit, Wallis cites him in the book. Joy, a Church of England priest serving in an inner city DC parish – and a groundedness that reminds us of his inner formation shaped through years of involvement with folks like the late Gordon Cosby, Catholic spiritual directors, and good friendships with the likes of Richard Rohr. I was thrilled to read some of the little stories and illustrations that are set in a retreat center or insights gleaned from a renewed season of prayer and play. And – get this! – his ruminations on Aslan from yet another reading of the Chronicles of Narnia are fantastic. Aslan is, indeed, on the move, even at Sojourners! This makes the book very enjoyable and very inspiring! Sure there are some policy recommendations, but, at heart, Wallis is a preacher. And it comes through well in On God’s Side. Besides the enjoyable writing from this Sabbath-time book, and the fairly standard-fair, but always inspiring Biblical studies about peace and justice (Luke 4, Isiah 58, and the like) and racial reconciliation, there are important contributions to our consideration of the nature of public justice for the common good. He helpfully and succinctly explores this notion, reminding us of what it means to care for the commonwealth; the good of the commons, including civil society. And there are extraordinary (sadly, too rare these days) overtures of what common ground liberals and conservatives might find in this search for making the society better for all. Joel Hunter, himself a fairly traditional Southern mega-church evangelical, says “This is the finest of all Jim Wallis’ writings. Jim’s comprehension of how Scripture and political issues relate to each other is surpassed only by the number of bridges he builds so that we can all solve problems together. Reading this book will help you be more like Jesus, especially in the public square.” That is a hearty endorsement, and On God’s Side deserves it. With its beautiful cover and good Lincoln quote on the front, even, this really is a very, very good book to have. By the way, we will be selling books with Jim Wallis on Tuesday evening, April 9th, in Baltimore at the Ecumenical Institute of Theology at Saint Mary’s Seminary & University (easy to get to near Towson, Maryland at 5400 Roland Avenue Baltimore, MD 21210.) 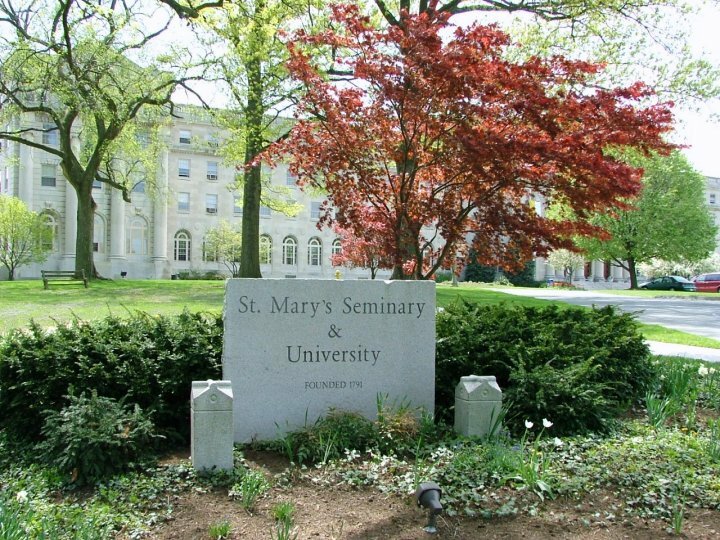 Following his lecture in their beautiful public hall there will be a great panel discussion, including a woman who is a Reform Jewish rabbi, a United Methodist pastor and urban leader, and a moral theologian from St. Mary’s. Jim will sign books both before and after the talk. It is free and open to the public and we (once again) thank the Ecumenical Institute for inviting us to be a part of their good work in their very classy setting. If you would like an autographed copy, we can probably swing that. Just let us know to whom you want us to have it inscribed, or if you’d just prefer an signature. We will gladly mail them to you promptly. B onhoeffer, Christ and Culture edited by Keith Johnson & Timothy Larsen (IVP Academic) $20.00 Every year, Wheaton College hosts a top-drawer, extraordinary theology conference and this new book gathers together the excellent papers which were presented at the 2012 event. Although most of the presenters self-identify as evangelicals, not all do, making this a very interesting, provocative, and delightfully multi-vocal anthology. A few of the chapters are thrilling to me (one great one was on how evangelicals, particularly, have engaged Bonhoeffer – from curiously positive Moody Monthly articles in the mid-60s to Cornelius Van Til’s philosophical criticisms, to the nearly superstar status of Eric Metaxas’ important 2011 biography, Bonhoeffer: Pastor, Martyr Prophet, Spy.) One chapter is exquisitely moving, as Jim Belcher narrates a trip to several Bonhoeffer sites in Germany. Charles Marsh is here writing on grace; Stephen Plant on politics, Joel Lawrence gives a powerful chapter on being “a church for others.” Daniel Treier has a fascinating chapter using Bonhoeffer to help us navigate modernity and its machines. Reggie Williams offers a fabulous piece on Bonhoeffer’s time amidst the Harlem Renaissance (which is, by the way, a tremendous, tremendous chapter on a topic that most of us could stand to learn more about.) Lutheran professor Lori Brandt Hale, co-author of the great little Bonhoeffer for Armchair Theologians (Westminster/John Knox; $17.00) offers a very helpful chapter on Bonhoeffer’s teachings about vocation. This new collection is very, very informative, perhaps a bit academic for some tastes, with tons of great footnotes and helpful citations. Despite the serious quality of the scholarship, the many extensive chapters are mostly very well-written, inspiring, even. 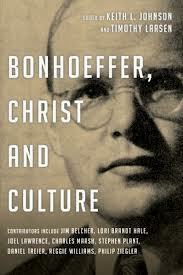 I was told as a young bookseller decades ago that books by Bonhoeffer sell well while books about Bonhoeffer do not. With Metaxas, that has changed. Let’s disprove the adage again, and get this book known, studied, discussed, and celebrated. It deserves a wide readership. Here you can watch most of the Theology Conference lectures for free. I share this because it is great to have generous access to these sorts of resources and because I think once you see some of this serious stuff, you just may want to buy the book. Enjoy! isive way, the impact of secular Enlightenment philosophy and scientism, asking if the gospel (“as public truth”) can offer a coherent life-giving alternative worldview. We just discovered this book and just got it in and are quite pleased to commend it. 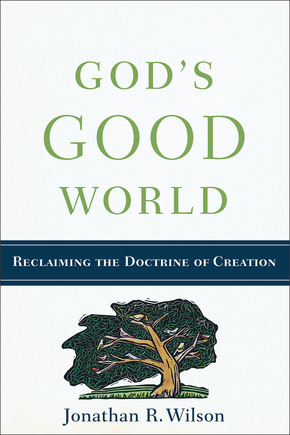 G od’s Good World: Reclaiming the Doctrine of Creation Jonathan R. Wilson (Baker Academic) $24.99 I have been waiting for a book like this for years, and am so very happy this has arrived. Our best theologians have reminded us that to fully understand Christ’s work of redemption and the very nature of God’s Kingdom we must start – as the Biblical narrative itself does – with the doctrine of creation. This world of original blessing, what Calvin called “the theater of God,” is the location, the context, the setting, the focus, of God’s redemption. The whole creation groans, Romans 8 tells us, awaiting humans (the original caretakers of creation) to be reconciled with their Creator; in Christ (the second Adam) we can again take up our task to image God in the world of God’s good creation. Any fruitful exploration of faith and discipleship that missed this given context of our lives will be, at best, inadequate and, worse, woefully distorted — gnostic, quietistic, weird. I think it was Al Wolters in his influential Creation Regained (Eerdmans; $15.00) who quipped that a robust doctrine of creation is useful for more than defeating evolutionists, and, in fact, includes the structures and institutions built into the created order (like, say, obviously, family and government or the possibility for art and science, work and recreation) and not just rocks, bears and galaxies. To have a full-orbed and fully fruitful view of creation, we will have to examine all the implications of the reality, and this fine book takes up this challenge wonderfully. Old Testament scholar Tremper Longman writes of God’s Good World “In the current discussions concerning the biblical doctrine of creation, we often bypass what is most important to us as Christians as we debate the issues like the age of the earth or the length of creation days. Jonathan Wilson corrects this oversight as he masterfully guides us to a rich appreciation of God as our Creator and Redeemer.” Yes, not only does this book unlock important — essential! — insights about the nature of creation, and the implications of living in a created reality but it points us towards the very character of a God who is a creator. And who sustains and redeems and restores the creation. Yes, this is a beautiful book, wonderfully written, far-ranging (and it even includes some truly lovely woodcuts enhancing each vital chapter.) We are very, very glad for this, hoping it is widely read and deeply pondered. I wrote a week ago about “resurrectionary reading” programs that explore the issues of life in light of the grand truth of Christ’s victory of death, as witnessed by the empty tomb. Reading a book like this is an absolutely central aspect of this agenda, since Christ is risen (indeed) with a physical body, the resurrection points to the newness Christ is bringing to all creation! Knowing resurrection faith well requires that we know creation faith. This is a great book. Happy resurrectionary reading!